Claire Seneviratne - Ceramic Artist: Heart earrings with silver lustre. 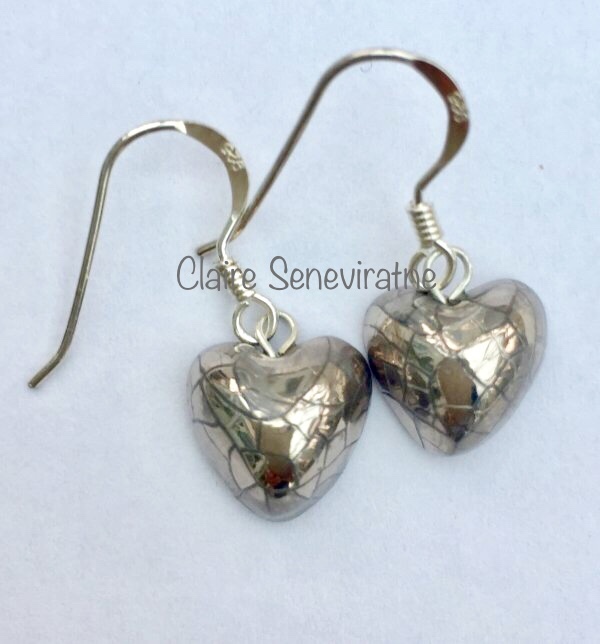 Heart earrings with silver lustre. Textured porcelain heart earrings with silver lustre. Attached to sterling silver earwires. Beautifully lightweight.